The Long Ward of the Sacra Infermeria, where the School of Anatomy and Surgery was established. It is now part of the Mediterranean Conference Centre in Valletta. Although the Jesuit College of higher education had existed in Valletta since the last decade of the 16th century, for a number of years there was as yet no Maltese university or medical school wherein Maltese students could be prepared locally for a medical career. Future doctors had, therefore, to proceed abroad to obtain medical qualifications even though the Order of St John’s Sacra Infermeria – as its hospital was officially called – provided much more than acceptable medical services, as attested by various foreign visitors, including Henry Teonge in 1675 and Edward Brown in 1676. 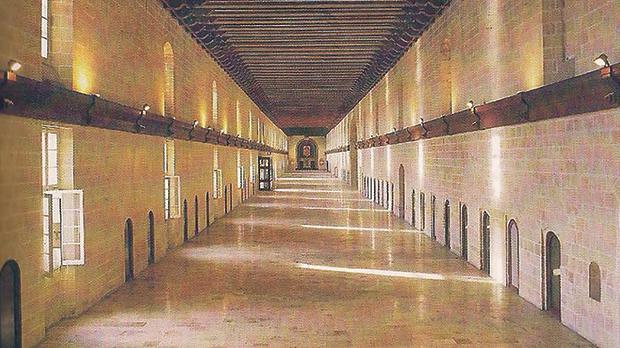 They respectively reported that the infirmary’s beds were “extremely neat, and kept clean and sweet” and that the institution was the “very glory of Malta”. 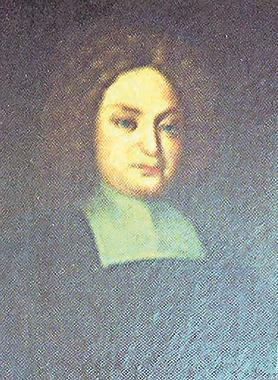 Michelangelo Grima, the head of the School of Anatomy and Surgery when it was incorporated within the newly-founded University of Malta in 1771 and thus attained academic status. This void was partly amended on December 19, 1676, when Grand Master Nicholas Cotoner founded and endowed the School of Anatomy and Surgery in the Order’s Valletta Infirmary after having, exactly two months previously, appointed Rev. Dr Joseph Zammit as lettore in Anatomy and Surgery. An entry in the Order’s Archives, Volume 262, folio 62r, of the minutes of the meetings of the Council of State, briefly records this important event by stating that: the Grand Master informed the Council that, at his own personal expense, he had instituted the study of Surgery and Anatomy at the Sacra Infermeria; that he had appointed a physician to impart lessons to the hospital’s barber-surgeons and to other youths who wished to enter the surgical profession; that he intended to ensure that this branch of medical studies would continue to flourish in future by subsidies accruing from the Cotoner Foundation; and lastly, that it was Grand Master Cotoner’s wish that, in future, teachers would be chosen by his successors. As was quite natural, this foundation was approved and highly commended by the members of the Council. Gabriele Henin, the first lecturer to give practical demonstrations and dissections in Malta. Grand Master Nicholas Cotoner – whose magistracy lasted from 1663 till 1680 – has gone down in the annals of Maltese history as a ruler who promoted the arts, social welfare and Malta’s military preparedness. The various works and regulations he initiated at the Sacra Infirmeria show him to have also been keenly sensitive to Malta’s medical needs though, being the head of a hospitaller order, one might have expected such an awareness. Yet this does not explain why this grand master decided to found the school and the lectureship. It has been suggested that a practical need may have influenced Cotoner’s decision. Between December 1675 and August 1676, Malta was ravaged by its worst-ever plague epidemic that killed about 11,300 from a population estimated to have been in the region of 60,000 (Gozo was unaffected). Among the dead, there were 10 physicians and 16 surgeons. Perhaps it was the depletion of surgeons that induced Cotoner to set up the lectureship. One must note that, in those days, aspiring surgeons started off as barber-surgeons (known as barberotti) in the Infermeria and then served in this capacity for some years in the Order’s navy. After further training in the Infermeria, they became prattici, or junior surgeons. They were then encouraged to further their studies abroad, sometimes helped financially by the Order. On the other hand, a physician underwent academic studies abroad, so there was a very clear distinction between physicians and surgeons reflected also in the former’s higher rate of remuneration. Since a qualified surgeon was treated as such only after a longish period of training, the grand master may have felt the need to fill the void left by the plague in the shortest possible time through the provision of the necessary facilities. Rev. Dr Joseph Zammit, the first lecturer in Grand Master Cotoner’s new Anatomy and Surgery School. The first lecturer to be appointed was Rev. 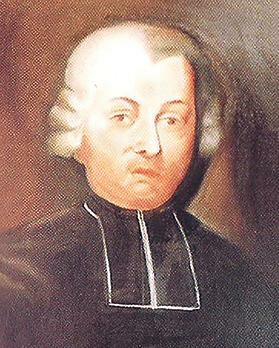 Dr Joseph Zammit (1650-1740), a Maltese Chaplain of Obedience of the Order of St John, with a monthly salary of four scudi. It seems that Zammit was a well-known physician and botanist, the principal medical officer and a great benefactor, if not the actual founder himself, of the hospital library. He lived to be 90 years old and, at his death, he bequeathed to the Jesuit College a large number of paintings depicting well-known Maltese personalities. During his lifetime, Zammit had paid for the setting up of a botanic garden in the ditch of nearby Fort St Elmo, where a number of medicinal plants and herbs were planted. In the 19th century, naturally, this was a godsend for the infirmary’s pharmacy. Prof. Stefano Zerafa transferred this botanic garden to the former gardens of Bailiff Ignatius d’Argote at Floriana, now known as Argotti Gardens. The main door of Dr Joseph Zammit’s house in Balzan, erected by him in 1717. It includes two carved inscriptions in Latin. 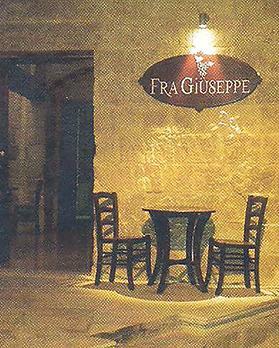 Zammit was succeeded by his nephew Dr Giuseppe Farrugia. In 1723, he was followed by Gabriele Henin (1696-1754) who, between 1721 and 1723, had been sent to the hospital of Santa Maria Nuova in Florence, at the Order’s expense, to learn practical anatomy. It was Henin who introduced classes of dissection and demonstrations on the human body. Before his tenure, classes had been limited to the theoretical aspect only, without any practical anatomical dissections. On his death-bed, in April 1680, Grand Master Cotoner ensured the continuation of the lectureship by stipulating, in his last will and testament, that one-fifth of the revenue from his estate was to be used to provide for the lecturer’s salary “in perpetuity”. 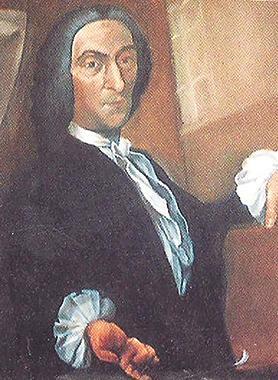 On September 1, 1771, when the school was headed by the well-known Maltese surgeon Michelangelo Grima, the Chair of Anatomy and Surgery was raised to academic status when it was incorporated within the then newly-created (on May 22, 1771) Faculty of Medicine of the University of Malta, which Grand Master Emanuel Pinto de Fonseca had set up on November 22, 1769. 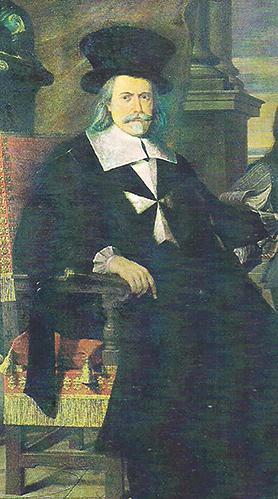 Grand Master Nicholas Cotoner (detail from a portrait at the Palace, Valletta). All medical students and assistant surgeons were required to study anatomy by attending lectures and practical demonstrations (dissection of cadavers). Thus, bodies of patients dying in the Order’s Sacra Infermeria were dissected, if need be, by the teacher of Anatomy, at first within the hospital itself and, later on, in a dissection room built in the hospital’s graveyard. In 1794, this room was replaced by an Anatomical Theatre which stood on the site where the Evans Laboratories were built in the middle of the 20th century but which are now a government department. This theatre remained in use till it was destroyed by aerial bombardment in 1942 during World War II. Thus, Malta’s Medical School can justly claim to be almost three-and-a-half centuries old. Indeed, it was from Grand Master Nicholas Cotoner’s far-sighted endowment that the Medical School has, to quote the late Dr Paul Cassar, Malta’s eminent medical historian, “germinated, flourished and prospered” and, from it, “the Maltese medical profession derived its origin, identity and vitality”. My thanks to Judge Giovanni Bonello for bringing to my attention the inscriptions at the Balzan house of Rev. Dr Joseph Zammit. Dr Joseph F. Grima is a historian and a former casual lecturer of history and a retired Assistant Director of Education. His publications include Il-Pesta tal-1676 – 11,300 Mewta, a Maltese translation of the original English book by the late Rev. Joseph Micallef, and The Fleet of the Knights of Malta – its Organisation during the Eighteenth Century.